Brilliant mangaka Kumada Poohsuke (熊田プウ助) has joined Tumblr!! Follow him! 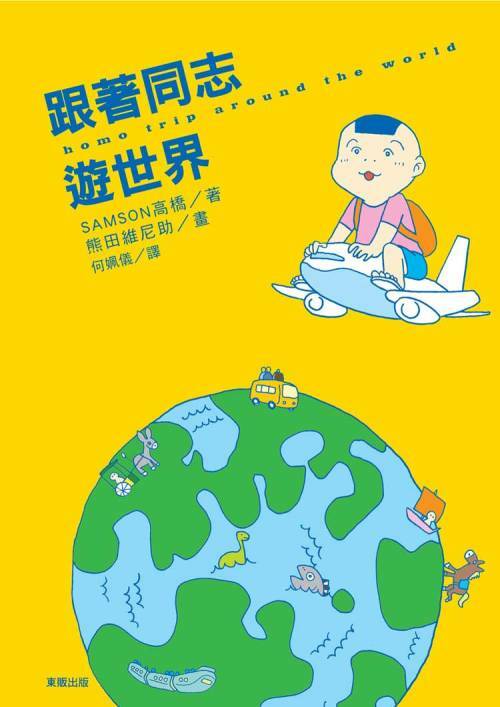 Homo Trip Around the World (世界一周ホモのたび) is a hilarious travelogue written by Samson Takahashi (サムソン高橋) and illustrated by Kumada Poohsuke. Originally published in 2011 and followed by a sequel (Homo Trip Around the World DX) in 2012, both volumes of Takahashi and Poohsuke’s globetrotting cruising adventures are now available in Chinese from Taiwanese publisher Tohan. Check out the original Japanese-language editions of Homo Trip Around the World (Amazon.co.jp; Big Gym) and Homo Trip Around the World DX (Amazon.co.jpg; Big Gym).